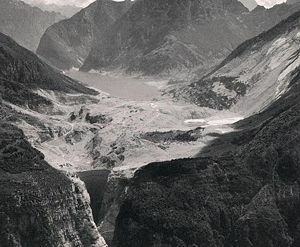 On October 9, 1963, at 10:39pm 260 million cubic metres of rock broke off from the top of Monte Toc, on the border between Veneto and Friuli Venezia Giulia. It fell into the reservoir of the Vajont Dam, producing an enormous wave of at least 50 million cubic metres of water. 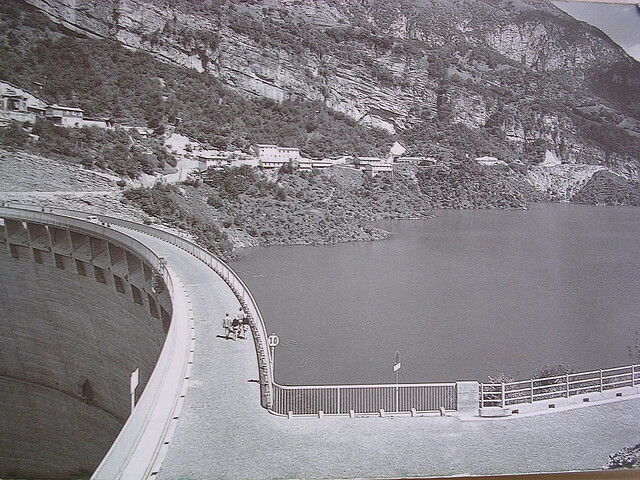 The dam, completed in 1959 and one of the biggest in the world at the time, did not suffer any serious damage. However, flooding destroyed several villages in the valley and killed almost 2,000 people. 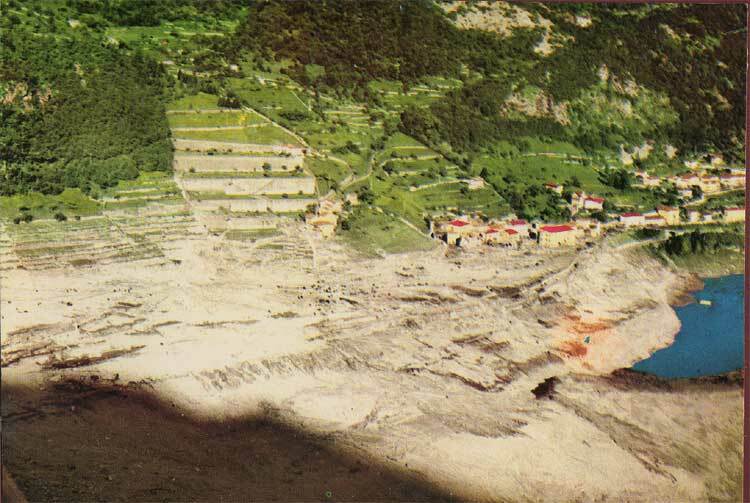 A third of the population of Longarone, the largest village downstream of the dam, perished. 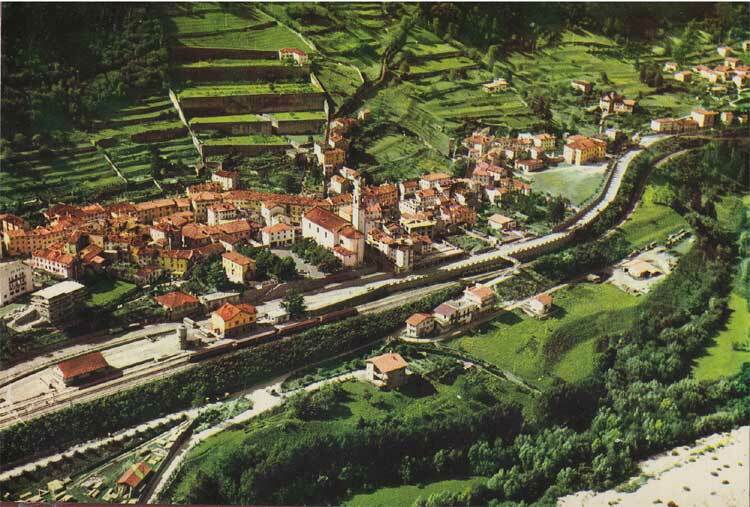 The town of Longarone, Italy, before the landslide, 1963. The town of Longarone after the dam was overtopped by a giant wave. Though the dam incorporated the latest technical expertise, it had been built without due consideration of geological reports, possible tectonic problems, local knowledge of the territory and Monte Toc’s connate instability. Already in 1960, shortly after completion, there were small landslides. The fear that Monte Toc would collapse was widespread in the area. Moreover, builders and managers had failed to observe soil conservation requirements and filled the reservoir well in excess of safety regulations. Finance-related concerns and a blind faith in development and technical expertise had eclipsed real consideration of environmental factors in the valley and of the threat to human life. 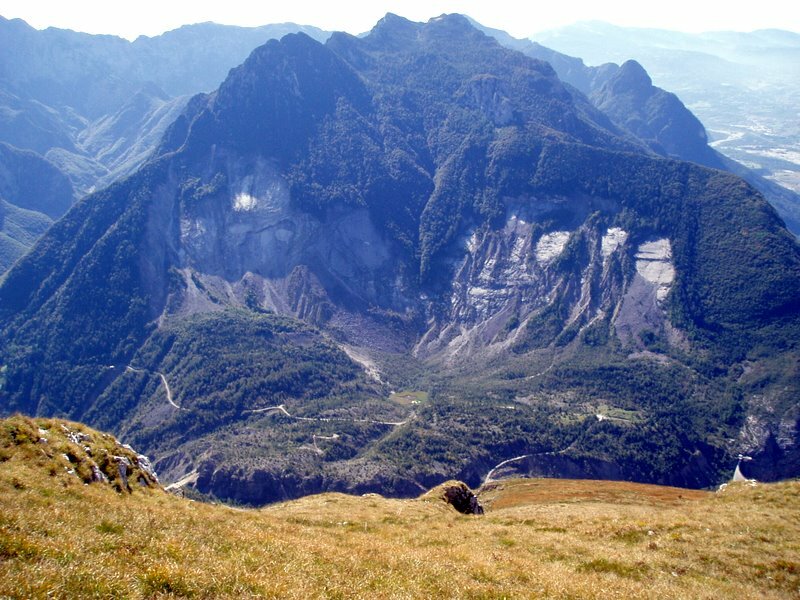 View of the detached landslide at Mount Toc. The disaster immediately became the subject of political wrangling in the mediascape. Conservative newspapers depicted the event exclusively as natural and unavoidable: the dam and its builders were not responsibile since the dam had resisted the impact of the landslide. Opposition newspapers alluded to the fact that the disaster could have been avoided and that the main cause was human error. Hardenberg, Wilko Graf von. 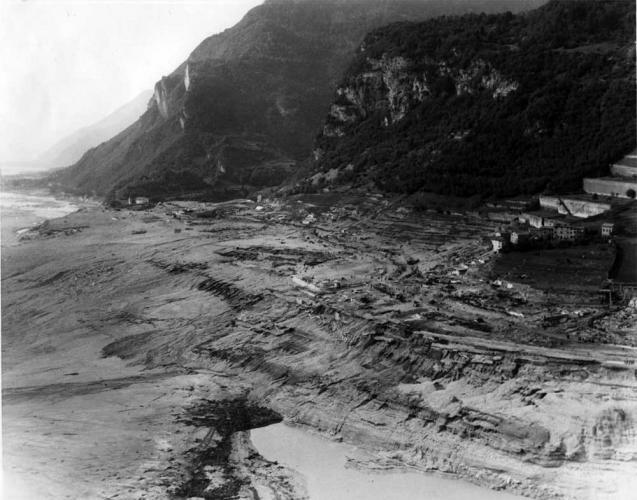 “Expecting Disaster: The 1963 Landslide of the Vajont Dam.” Environment & Society Portal, Arcadia (2011), no. 8. Rachel Carson Center for Environment and Society. https://doi.org/10.5282/rcc/3401. Merlin, Tina. Sulla pelle viva: come si costruisce una catastrofe: il caso del Vajont. 4th ed. Caselle di Sommacampagna (Verona): Cierre, 2001. Paolini, Marco. The story of Vajont. Boca Raton Fla.: Bordighera, 2000. Reberschak, Maurizio, and Ivo Mattozzi, eds. Il Vajont dopo il Vajont : 1963-2000. Venezia: Marsilio, 2009. Reberschak, Maurizio, ed. Il grande Vajont. Sommacampagna (Verona): Cierre Ed., 2003. Saba, Andrea Filippo. "Le dighe." Passato e Presente 82 (2011): 32-37.